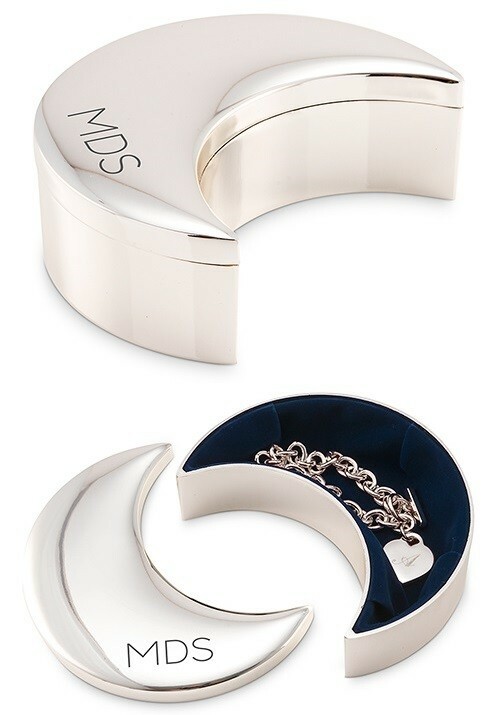 Dimensions: 1 1/2" x 4 1/2" x 2 3/8"
This elegant crescent moon-shaped jewelry box features a polished silver-plated exterior that may be engraved with a three block initials modern monogram (order if First/Middle/Last initials). Makes a perfect bridesmaid or flower girl gift. Made of plated zinc alloy metal. PLEASE NOTE: Pictured jewelry is not included.